Check out how to make an innovative Maggi recipe - Maggie Cheela or Maggi Pancakes. 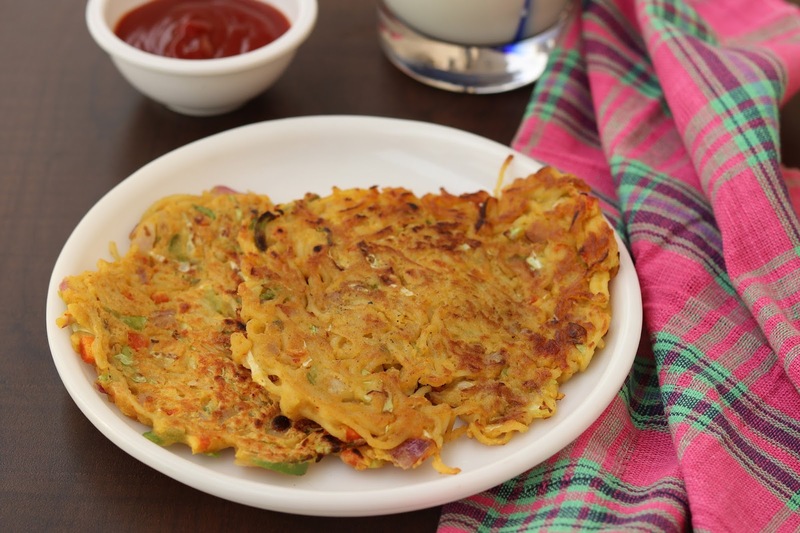 Quick Indian breakfast recipe with loads of vegetables added to it. 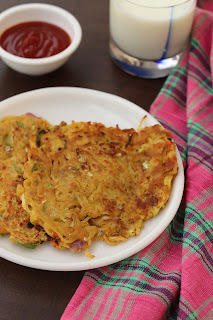 Masala Maggi Cheela is simple to make and best to serve kids. 1. Prepare Maggi with little extra water. Transfer in a bowl and add all vegetables. Cover the bowl, and keep aside for 10 min so that vegetables cook a little bit. 2. Add gram flour, salt, red chili powder and mix well. 3. While vegetable Maggi is still hot, put ladder full on a heated griddle/ Tawa. Spead the material gently and cook on medium flame till both sides are crisp.